For Mobile Users - Just tap one of above phone numbers to make a phone call. Success! Your inquriy has been sent to us. We will contact you shortly. Thank you! Error! There was an error sending your inquiry. Be Safe, Be Clean, Be Green! We are the most reliable termite and pest control company in Los Angeles and Orange County. Our experienced exterminators will give you a service just like treating their own house. We always try to be different from the other companies by providing a H.O.P.E (Honest, Optimal, Persistence, and Essential) service with a reasonable price. Call us today for a honest and convenient service and get a FREE estimate. We will take care of any pests including Cockroaches, Ants, Bed Bugs, Rats & Mices, Fleas, Crickets, Silverfish, Flies, Bees, Spiders, and etc. We're also specialized in termite control including local/spot treatment, fumigation, preventative service, and escrow transaction termite inspection and completion for a house, multi-unit property, condominium, retail, commercial property, Home Owners Association (HOA), and etc. We provide service with both eco-friendly and traditional pesticides depend on our customer's situation and effectiveness. Our customer's satisfaction is our top priority! The most common termites in Los Angeles and Orange County are Drywood Termite and Subterranean Termite. Drywood termite resides in the wooden structural itself but the subterranean termite nests under the soil and crawl up to the wooden structural by building and connecting tubes from the soil to the bottom of structure. They both can make severe damages to your property. 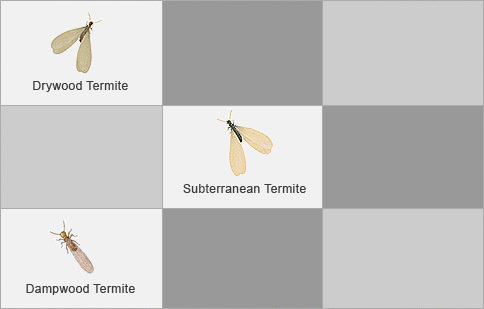 Most people can easily indentify whether they have termites or not during its season because it's the time when termites are swarming; and they are called swarmers (See pictures on the left for a various termite swarmers). If your property is infested with termites, you will see those swarmers coming out during its season. For subterranean termite swarmers, they usually come out during Spring time from March to June and for drywood termite swarmers, it's going to be during Summer time from August to November. If you see them, then it's time to call us. Green Termite & Pest Control provides an optimal service to control and exterminate termites and any wood destroying pests such as Wood-Boring Beetles, Carpenter Ants, and Carpenter Bees. We can get rid of those wood destroying pests by a local/spot treatment with either non-toxic or traditional termiticide and/or a fumigation. We can provide a Preventative treatment and an alternative service for the structures such as condominium or aparment complex those cannot be tented. We also provide an escrow ready service meaning we cooperate with agents and brokers for them to get a termite certification without a headache. Please see below Escrow section for more details. Cockroach, Ant, Bed Bug, Rat & Mice, Flea, Cricket, Silverfish, Bee, Spider, Fly, and Etc. Pests have been a major issue in many homes. They not only look disgusting but they also can spread diseases and can be a threat to you and your family's health. Recently in Los Angeles and Orange County, bed bugs have been widely spreaded and became one of the major issues. Bed bug needs to be controlled in early stage before it gets out of hand and makes you to spend tons of money. Even if you see one or two bed bugs, you will need to take an action immediately to get rid of them. 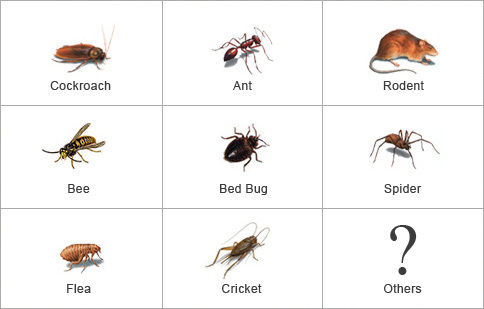 The most common pest issues caused these days are by cockroach, ant, bed bug, rodent (rat & mice), flea, spider, cricket, fly, and bee. If you see any of those unwanted pests in your home, then you should call us right away to get a proper recommendation before they spread. Green Termite & Pest Control provides a professional & optimal service to control and get rid of those unwanted pests. We will give you a free estimate so do not hesitate to call us. No more pest that's bugging you! We're currently getting ready for the mold control service. We're sorry for the inconvenience. We offer a great preventative treatment for termite. Termite can easily damage your valuable property and will make you to spend thousands of dollars in repairing. Good news is that there's a way to prevent termites eating up your property and we do have a perfect solution. We can apply our special termiticide to your home's vunerable area of termite infestation and create a protection for future termite infestation and kill any existing ones. Our experienced inspectors will inspect your property and give you a proper recommendation to protect and save your home from termite. Request our Termite Preventative Service today and make your home secured from termites! It went well. Kept ants and roaches away for many months. I called them for in-law's house which had multiple issues about the pests (ant, spider, roaches) in LA. They came on time, explained what they need to do, and did not try to upsell anything other than needed. They were very honest about their work and assured me that the work is guaranteed. my in-laws were extremely happy about the result. I would definitely call them again. Green Termite has been by far, the BEST Pest Control company Ive used. I manage over 60 properties in the LA area, I've used several companies for fumigation of roaches and bed bugs, Ive spend thousands on treatments and they've never seem to work for me. When I first contacted green termite, Joshua gave me an appointment and treated one of our building for Bedbugs. The treatment was so effective, my tenants were happy and so was my pocket. I have been using Green Termite for over 2 years now and I couldn't be any happier. I highly recommend their service. I'm a property manager and I use Green Termite for all my buildings. 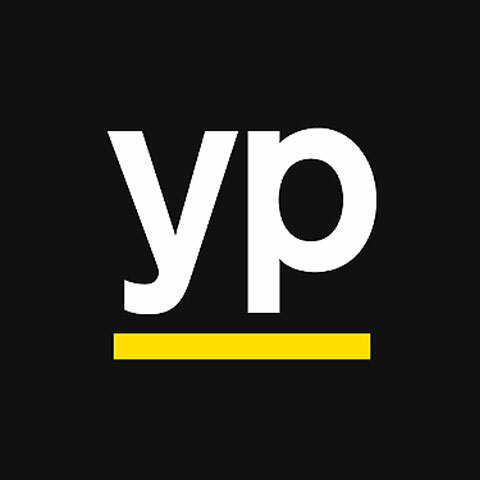 They are reliable and do a great job. I have used them for ants, water bugs and spot termite treatments. They stand behind their work, show up on time and charge me a fair price. All their inspectors are great but Chuck is my favorite. He will always squeeze me into his busy schedule when I have a "bug" emergency. He's a really good guy! Green Termite performs monthly spraying for two apartment complexes that I manage in Beverly Hills and our family's homes. In Beverly Hills, cockroaches are our main concern, and Green Termite has eradicated them from our properties. I also must stress how great they are to work with. They show up on time (often squeezing us in), do a thorough evaluation, and formulate a long-term plan should we need assistance outside the monthly spraying. I also appreciate how understanding and professional the team is with our tenants. Highly recommend Green Termite for your residential and commercial projects. Professional and effective, we have not seen any pest since their last visit. I think I might need to have them come back to spot check, but I knew it was a difficult problem. Otherwise it was really good.. I have to say I was surprised to see so many mediocre ratings. Maybe I got lucky but I thought this company was very professional. Not only did they give me an exact time they would arrive (instead of a two hour window), but they were perfectly on time! Also, the worker first did an inspection of the areas on my walls (in cabinets and under sinks) to find and show me holes that needed to be patched. This might be routine - I'm not sure - but it was great because now I'm getting those holes patched to seriously prevent other insect issues in the future. Then that same night I saw one cockroach and called them, and they were willing to come out the next day to spray again. They provide a 30 day warranty. I also thought their price was very fair, comparatively speaking. The only minor drawback is that the guy who came out had a sort of heavy accent and it was a little hard to understand him at times, but we got by. I feel awful because I cannot remember the name of our inspector but he was amazing. I showed him the termite damage around our back door and explained to him that we bought our house almost a year ago. Prior to closing work had been done to fix termite damage to the exterior of the house. He asked to see the report and explained that anytime there is damage to multiple areas on the outside of a house they must recommend that the house be tented because their is no way of knowing how deep the damage goes. While he was at our house we could not locate the original repair report so he gave us his phone number and email address and asked us to send him the report so that he could look at it. We found the report a little later and sent it over to him via email. Within minutes he called us to let him know that the other company should have recommended tenting the house and it is no where in the report. He stated that they are liable for the repairs and to tent the house. He told us to call the company and explain all of this to them. In the case that the company refuses to take responsibility he told us how to report them to the pest control board. WOW, he could have chosen not to tell us this information and taken our money to tent the house and we would have never known. Although we did not need their services, we will forever call this company to come out and take care of all of our pest control needs, and any future termite needs once the other company's work guarantee expires. The technician was excellent -- courteous, prompt, knowledgeable and did not make us do more prep than necessary for a small problem. When the problem returned soon after he came right back and worked again, and the problem abated for several months. I purchased a "Big Deal" for Green Termite & Mold Control Inc. They did the roach treatment. It went well. There was no additional cost. I wasn't there. It took them three visits to get rid of the roach. They were very nice and they did not charge me extra because it was in the 30 days warranty. They were pleasant. The service was fine. The only thing about it was, the scheduling got piled up. He came out much sooner than he said. So, when I came for the agreed time, he was not there. I waited 30/40 minutes and I called and he said that he had been there and left. The tenant was still there. I said, "I wished you had called me and let me know because I'm here waiting for you." There weren't any extra charges. He should improve on the scheduling. The price was great and communication on the phone was great. He was very helpful. The only thing was the miscommunication of the time. The tenant was pleased. We thought we had a bug issue so called Green. I am pregnant and we wanted an affordable but effective solution that would also be safe during this sensitive time. Scott was our inspector and right from the start I was impressed with his professionalism- he was on time and he took his shoes off at my front door, which no workman ever offers to do. He thoroughly inspected our areas of concern and reassured me that there was no need for treatment. Even though we only had the free inspection, Green's fast communication and Scott's professionalism will ensure that I will definitely use them in the future! Took two visits to treat for roaches (which were initially identified as water bugs, an identification I did not agree with). He did come right back and sprayed again, and tenants have not complained, so I hope the problem is now resolved. Technician's accent was hard to understand. But I will hire again. Sprayed for roaches main house and guest house. Sprayed for water bugs around main house, garage, and guest house. Crawled under main house to determine if any leaking water or areas of moisture. Noted evidence of termites. The Green Pest Control representative called in advance to confirm the appointment, and arrived on time as scheduled. After asking questions about the type, location, and quantity of "water bugs", he said that the bugs were attracted to water and offered to crawl under the house to check for moisture or leaking pipes. The house was built in 1924 and the crawl space is neither large or pleasant to access. At this point, I knew I'd hired professionals because it was clear that he knew what he was doing and was intent on solving the problem. He determined there was no moisture under the house, told me that there were a few piles of termite droppings (which we had known) and surveyed the rest of the property. He suggested spraying around the building edge and doorways. I had paid $95 on Angie's List for the service for the main house, but wanted the garage and guest house treated as well. The rep stated it would be an additional $60 for the other two structures, which was absolutely fine with me. We had a discussion of the type of spray to use. I wanted the most heavy duty but have a dog and cat and was concerned. The Rep said he could use the strong spray, but that I should keep the dog and cat inside for an hour with the windows closed. This would give the spray enough time to dry and would then be safe for the pets. It has been over a month and the bugs are basically gone. I've seen one bug outside two times, and found a dead one in the garage. I'm very happy and relieved. I would call Green Pest Control again without hesitation, and will be asking them to do a complete termite inspection in the near future. Chuck and his team are very friendly and professional, he is honest and very accommodating if you have any question about the inspection report. they handled my termite issue and made sure every area treated was sealed and patched. I highly recommended. thank you. They got rid of my crickets. Sprayed exterior of front unit of three unit townhouse. Arrived early, explained procedure then completed the task briskly. They were called to go after an outbreak of German cockroaches in our kitchen which we had never had. I used to live in D.C. where roaches were RAMPANT/ARROGANT...so I hit the panic button and chose Green off Angie's List. Well we had two visits, first time in November 2014 they sprayed whole cabinet area. Said spray smell would go away in a week but it did NOT. Took 1 1/2 months. Anyway, roaches stopped coming. But started up again this June, 2015, so we called them again. This time we went to a gel that doesn't smell and is in little round things that stick to the wall or frig that attract and kill them, which is better. from our inhalation point of view. I would have liked a bit more info on roach destruction than persons provided, although one did say, seal up a pipe with foam which we did. Web told me a lot more...boric acid...in the pipe before you seal it up. YEAH! I think they should have a FAQ that they leave with people to continue the battle. But hey, these guys are there...almost instantly and will stay connected with you on the problem....and I like that. Green Termite people are very honest and on time. I especially like the free estimate. I had them do inspection for both of my properties. When they don't see anything wrong they told me I don't need to do anything. They did a spot treatment for my garage and fixed the broken wood. They did really good job patching the wood too. We had a cockroach infestation in the space between the counter top and the dishwasher, where they came in because they were attracted to the steam that was escaping from it. The representative from Green Termite & Pest Control sprayed not only that space, but the space under the entire kitchen counter. The gentleman was prompt, professional, funny (he joked that my agave was a "terrorist plant" because it poked him when he got out of his truck), thorough and fast. I'll definitely use them again if we ever get another infestation. Preventative roach spray a vacant condo. They showed up on time and sprayed for bugs. It cost an additional $50 from what I purchased from Angies list do to size of place I guess. They were in and out in less then 20 mins since it was litterally just spraying around the walls as they walked around. Had a roach spray. Good. The tech showed up on time, surveyed the area and suggested improvements that would help minimize future problems. He then sprayed and said he would return if anything showed up after a couple of weeks - comforting. Sprayed for roaches. It was ok.
Full roach gel treatment of the kitchen area, as per my request. 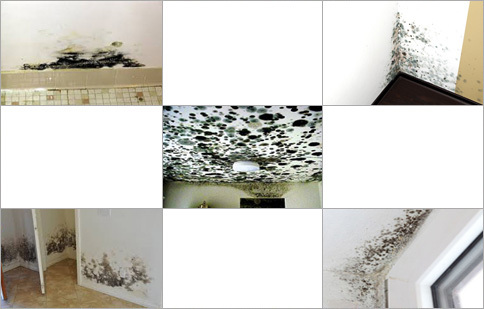 The workman who performed the treatment on my house was very professional, and also amiable and pleasant. The roaches have been dying ever since. They appear to be gone, and I would definitely call this company again in the future. I used GREEN TERMITE & PEST CONTROL for my brother. He said it went well and the roaches are gone. I purchased a Big Deal for $85 Roach Treatment Service. The worker who came out was Korean, so there was a bit of a language barrier, but the work itself was good. Sprayed for an investation of roaches in kitchen and bathroom . Scott sprayed eco friendly chemical in the kitchen and bathroom. I stayed home and just closed off the kitchen and bathroom, and six hours later the "coast was clear" ! The next day I saw loads of dead bugs but, still saw some in my microwave . Called them about coming back out and they were very will but I decided to wait a week it paid off I have seen "No Bugs" !!!!!!! I am so happy and free !!!!! Would use them again. Sprayed twice for fleas- had to come back a second time, which they told me up front might be necessary, which I appreciated. Overall very good, as I did not want to tent or use chemicals. They inspected the unit , provided a written evaluation and treated the townhouse. Inspected house for water bugs. I was very pleased with Green Termite and Pest Control. I called them on Monday and the sent a man the next day. He was right on time and explained everything he was going to do and why. I would sure use them again. Tony, the inspector, came to my home within a day of my phone call, they worked around my schedule! He was on time, and very professional. He was very thorough while looking for the problem of my increased fly infestation. He gave me suggestions on dealing with my issue, as he could not find a source. He did not try to hard sell me anything or pump up his costs... As a matter of fact, the inspection was free. I do have a termite issue, and will be using GREEN TERMITE for that for sure! I wish there were more companies like this! We had rats so Green Termite & Pest Control set traps and basically checked the traps and sealed up a hole in the outside where the rats were coming in. It was good. They got rid of the rats. They showed up on time and the representative was very communicative. It wasn't an incredibly complicated situation, but they did a good job. I did not do a lot of cost comparison so it depends on the cost if I will use them again. The company was hired to remove ants and other bugs from areas of our property. They have good customer service but the tech didn't speak English very well. There was a language barrier. They had to come back the second time and use stronger products in some areas because the service was not preformed completely on the first visit we believe due to the language barrier. The same tech did the return service. I hired the company to take care of a termite problem. They also had to replace the hardwood floors. The service went very well. One technician came out and completed the job in a couple days. They did a good job and were very professional. He was hardworking, nice and friendly. I had no problem scheduling the service. Sprayed for cockroaches. Clean, friendly professional. Recommend. We have bigger things to deal with right now, we are getting the deal refunded. They were polite and willing to work with me. We had a flea problem and were worried about harsh chemicals in the house- the organic pesticide they used did the job well and we've been flea free, also treated the animals of course- really appreciated the green alternative. Also just called to investigate a maggot problem and they came out promptly and inspected free of charge. Thank you! They had to spray the back yard 3 times to get rid of the ants, but they came back each time I reported the ants were still there, usually the next day. Finally on the last spraying they used something more powerful and the ants have never come back -- it's been well over 2 months. I think they did a great job because we originally asked for the non-toxic spray. When that didn't work, they suggested something more toxic and more powerful, and that worked beautifully. I think they did a great job and were very considerate of our wishes to avoid the toxic spray. I recommend them highly. We use Green Termite and they got rid of the rats under my house. They came out to do an inspection. He went under the house and did some work. I have seen a rat since. He set some traps and they came back to get them. It has been fine ever since. They were early and they explained what they were going to. They arranged for fumigation for drywood termites, helped us prepare our food, etc., and managed/hired Countrywide exterminators (who also did a great job... see my separate review). They continually exceeded expectations. They were very thorough and showed up ahead of schedule at each step. They also kept us informed and answered all our questions. Tony even got back to me on a holiday (Memorial Day) when I sent him an email... he called me immediately to make sure my question was answered. Tony (inspector/main contact) & office staff were very responsive and excellent guides through a confusing and somewhat scary process (It's poison, after all!). I recommend them highly. He came same day on a Saturday which was very nice and I was happy with his service. It seemed to solve the problem. However, he said he would come back to pick up any dead rats and when he came for the follow up visits he said that taking away any dead rats would be an extra charge starting at $300. He inspected and gave a very clear estimate. He sealed up my house where there had been many openings. He set traps to catch existing pests. He also cleared out several wasps nests. He took extreme care to not endanger the health of my dogs and he left my house and yard clean and neat. He was very professional, on time and clean. Arrived promptly and did a complete inspection. Although we didn't use them, I wouldn't hesitate to use them in the future. Good people and good businesses don't get recognized often enough, so I want to restore the karmic balance in this case with this review. Green Termite and Pest Control has been out to my parents' home twice now, and in each case, they've been a shining example of professionalism, business ethics and integrity. In the first instance, after diagnosing the problem, the technician recommended that we purchase an inexpensive set of insect traps from Home Depot instead of spraying the entire house, which would have set us back a few hundred dollars. He didn't even charge anything for the service visit. When the technician came out again yesterday for an unrelated problem, he also diagnosed the problem quickly and devised a no-cost solution. Again, he refused to accept anything for the service visit. I mean, this sort of behavior is so unusual, rare and wonderful, it deserved to be rewarded and recognized. Give them some love, people! I hope their business continues to grow and prosper. I will certainly be using their services exclusively for any of my pest control needs. In response to a mouse and rat problem, sealed up the house, replaced weather stripping on doors that had been chewed away (twice!) and set traps. I think Green Termite and Pest Control did a thorough job of inspection and sealing the house. They came back the next day and replaced weather stripping that they had just installed because it had been chewed through overnight. Then they came back to remove the trap once the rat was caught. The problem seems to be solved, I haven't seen any further evidence of mice or rats. They even worked over the weekend. I had some minor termite damage to a door frame, and, since I'm sensitive to pesticides, I requested a non-toxic solution plus wood repair. I like the fact that I was able to schedule my appointment online at midnight on Saturday (which seems to always be the time when I'm energized to do home improvement!). I made an appointment for Tuesday and was called on Monday to confirm. Chuck was very personable and polite, and he let me know that he was running about 15 minutes late, which is not surprising, since he had a downtown commute. When he arrived, I reiterated that I preferred a non-toxic approach, and he said it would be botanical. He looked over the damage and asked if I wanted a full replacement or patch repair of the door frame. I opted for a patch, and he gave me an immediate quote. He asked me if I wanted the work done today, and I said yes, so he got right on it. The work took about an hour and a half. He was very careful not to bring dirt in the house and was basically unobtrusive, extremely respectful, professional, and friendly. When he was finished, all signs of termites were gone, the door frame was repaired and neatly painted with a white primer, and he said the work would be guaranteed for a year. I particularly appreciate that Chuck didn't try to up-sell me into tenting the whole house and gave me a few options regarding repair. That, combined with his one-year warranty, convinces me he's deserving of trust and that he does good work. They came out and not only examined my home but also treated it the same day. They did an excellent job. I got everything I needed done that day which I think is outstanding. They were professional and showed me all the areas treated. The technician was very prompt and efficient. He carefully explained to me the difference between the various pesticides he could use and helped me make a choice. He did a very thorough job, but told me he might have to come back again because I had quite a bad infestation of ants on my property. He guaranteed the work for a month and told me to call him if I saw any ants before then. After about 3 weeks, I did see a few in one of two places, and he came immediately back to fumigate some more at no cost to me. That was over 3 months ago, and my property has been ant-free ever since then. I haven't seen even one inside, which is a relief compared to previous summers! I see a few on the patio once in a while, but no long lines of them like I used to see. I will gladly use him again next summer to keep them at bay. 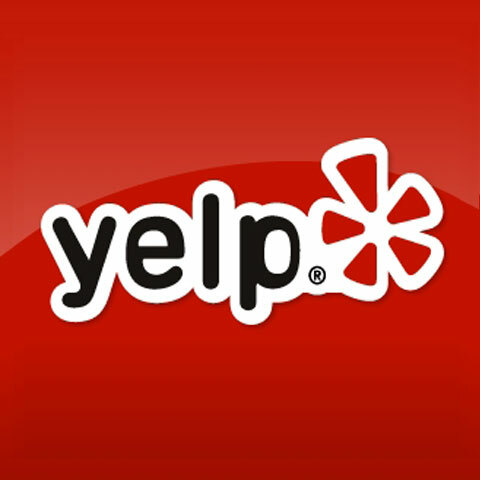 I was extremely satisfied with this company's service and highly recommend them. They removed a series of wasps' nests and they were excellent, professional service-- very friendly, punctual, speedy. A great experience in every respect: highly recommended! They were quick to respond to my voicemail and easy to schedule a free inspection. They removed 2 wasps nests quickly. They communicated completely (via phone) as I was not home and took care of problem. Very happy with the service. I thought the price was fair ($100 with 10% Angie's List coupon). Would use them again. We were sitting in our kitchen on a Friday night when a rat sauntered in from the laundry room and sat staring at us. Using a broom, we scared the rat back into the laundry room and it disappeared under the washing machine. We were a little freaked out, to say the least. We were concerned that since the next day was Saturday we might not be able to get an exterminator to come out to deal with the problem on a weekend. 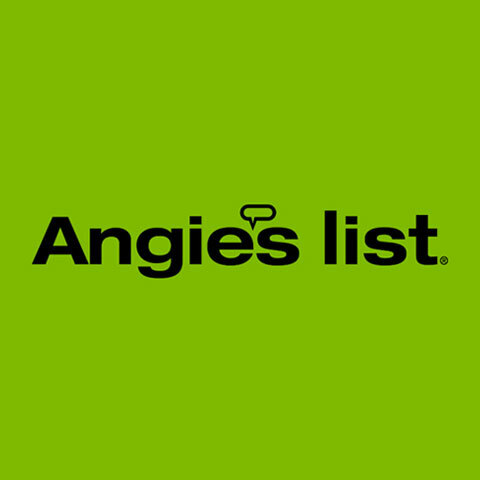 First thing Saturday morning, we went directly to Angie's List and chose Green Termite and Pest Control because the listed address was fairly close by. Early that morning we called and left a message regarding our problem. We got a call back within the hour. We explained the problem and conveyed our sense of distress. Much to our relief, they scheduled an appointment for 3:00 PM the same day. The technician came out at the appointed time, did a thorough job of searching for possible entry points, identified signs of rat activity, and pointed out two main areas that needed to be closed up. He gave an estimate for closing the two entry points and for the cost of setting traps in three active areas. We agreed to have him set traps and come back on Monday to check traps and close entry points. The technician came back on Monday, at the scheduled time, checked the three traps, emptied and reset two (two rats caught) and closed up two main entry points. He also explained how to spot the signs of rat activity. We've been on the look out but, so far, haven't spotted any more signs of rats in the house. Problem solved. Good job, Green Termite and Pest Control! Overall good experience for drywood termite treatment. The answered all my questions and paid attention to my requests. Treated termites and wasps, and replaced rotted wood in many places. Chuck responded to my call right away. He did a thorough job reviewing the property and was very polite. I was provided with a report by email shortly thereafter. I opted for the spot treatments for the termites and wasps, and to have the rotted wood replaced. Green Termite did not push me to choose a higher option, or agree to any unnecessary repairs. The company was right on time for the job. The treatments went smoothly, It took awhile to address all the rotted wood spots. The carpenters did a great job and it was a long afternoon. Everything looks great. Chuck, the carpenters and the receptionist were all very polite. The clean-up was very good. I would use this company again. Responsiveness: A | Punctuality: A | Professionalism: A This company was very good, and eliminated the beg bug problem that I had at once. It may have helped that they were the third company to come to my house to try to erradicate the problem. In other words, the other companies may have done a lot of the ground work, but it was only after they came that the problem was resolved, TG ! They were fast and professional. The exterminator showed up on time, was very polite, very quick and identified a dry termite problem. He didn't try to up-sell more services. Very happy with the company. On time, courteous, prompt. what more can you ask for? I cannot say enough good things about Green Termite & Pest Control. We had a serious rat problem. We heard them in the walls and in the attic, and they'd begun showing up inside our duplex as well. (Note to self: next time you hear anything crawling around in the walls, don't wait to call pest control.) Chuck from Green Termite & Pest showed up mere hours after we called to give us an estimate. We could immediately tell he was our man - who knew someone who kills pests for a living could be so gentle and kind?! We were given the option to use live traps, snap traps, or poison, with no judgement like we'd gotten from other pest control people. Though we would've preferred a no-kill option, the problem had gotten really bad, so we chose snap traps - at least death would be quick. The next day Chuck came over to seal the house, outside and in, from rat entry points. We think this situation probably happened because we replaced our roof a few months back, and it turns out the vents weren't properly screened. Chuck did all this in a few hours, and then set traps in the house and in the basement. He predicted there would be 4 or 5 catches, of those rats that remained after he did all the sealing. The only part he got wrong was our rat population. We kept catching and catching. The amazing thing about Chuck is that he was willing to come over every day, dispose of the dead caught rats, and reset the traps - and this was all included in his singular $300 fee! He probably would've kept coming, but I told him I'd be willing to do the upkeep part if he was SURE these were all rats trapped inside, and that no more were coming in from the outside. After a thorough rechecking of all potential entry points he assured me he was sure - but reaffirmed he'd be wiling to come and dispose of them at any time. We ended up catching 19 rats in total. It was one of the more stressful periods of my life: I'm a vegetarian yogi, and suddenly I was personally responsible for multiple rat murders per day! But through it all we had Chuck at the ready, available to show up - with a smile - and help us with our unpleasant problem. It's now been 2 weeks since anything was caught in the basement, and the peanut butter on the traps hasn't been touched - so I'm pretty convinced it's a Mission Accomplished. I've never written such a long story on Angie's List, and I only do so because of my utmost gratitude to Chuck and Green Termite & Pest Control. Though I hope I never need their services again, I would heartily recommend them to anyone. Green Termite does great work and they stand behind it. I have called Green Termite to take care of infestation issues that my HOA seems to have difficulty with (and by difficulty, I mean, they don't tend to it in a timely or objective manner). Tony at Green Termite is responsive, fast, and thorough. Their treatment methodology is intelligent and comprehensive. Any time you're in a bind with creepy flying things (or crawling things), call Green. Love these guys! super courteous, professional and always on time and they definitely get the job done. Have used them several times and will continue to! Had a termite issue that was resolved within an hour. Very happy with the results. Woke up to a swarm of gnats and fruit flies after I left the back door accidentally open that is close to the neighborhood trash bin and they took over the place ravaging my fruit. I called at 10am and by 330pm I had someone on site. They would have came earlier had I not been busy. Bye flies! :) Was able to return after a few hours because of the organic pesticide they use and as skeptical as I was - was very happy to come home to a gnat free house! I will call them again should I have any similar problems which I hope I never do! In the 25 years I've owned my house and had the full assortment of pests I have to say that Green has provided the best service, every time. The staff is knowledgeable, punctual, polite--and just highly competent. They work fast but they don't miss anything, and their costs also are very competitive. Green termite and pest control came out to our home to take care of a moth and bee issue, They were very efficient, professional, and priced right. They also performed a termite inspection at no cost, as there listing states they would do. The report was equally professional. 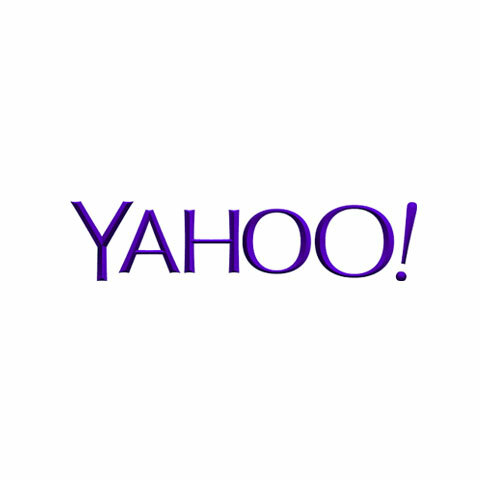 The company does not try to oversell, or create additional unneeded services. Their work is guaranteed, and they are very honest. The problem that they came out for in the first place, which was a few months ago, has been 100% resolved. They came to my home today and so far all is great. They were courteous, professional and affordable. They're honest and provide service with a reasonable price! I called them to tent for termites. Instead, they said that I had carpenter ants. No tenting and I saved thousands of dollars. They are very honest and I will recommend to all my friends. I am extremely satisfied with Green Termite. They are VERY honest! Kenny, the inspector, spent a great deal of time in inspecting my home and was very thorough and careful in his report. I had two other inspections that reported subterranean termites and Green did not. Green came out a second time to inspect and explained to me why I did not have subterranean termites. In addition, they are very professional and attentive. I used them for my termite extermination and am very pleased with their service. I highly recommend Green Termite! We needed to get rid of sweet ants in our house. They used non-toxic insecticides. They were great! I got an estimate from Green Termite & Pest Control for pest control. Everything was great, and my experience with them was fantastic. The estimate was free. They came when they said they would come. I have a big property, and it took them a few hours to go through it and give me a detailed estimate. They were pretty thorough. I got quotes from a few people, and they seemed to be the best. I had two other companies tell me that I had termites in a certain area, whereas Green Termite was very honest about it. They have been in business for a long time, and I could just tell that they were not trying to rip me off. They have been with me for six weeks, and they even came out to talk to me free of charge in between. They have done the prep work, and we are scheduled for the actual work in a few weeks. We are the most reliable termite and pest control company in Los Angeles and Orange County. Our experienced exterminators will give you a service just like treating their own house. We're licensed, insured, and bonded. Success! Your message has been sent to us. We will contact you shortly. Thank you! Copyright © 2002 - 2017 Green Termite & Mold Control Inc. All Rights Reserved.